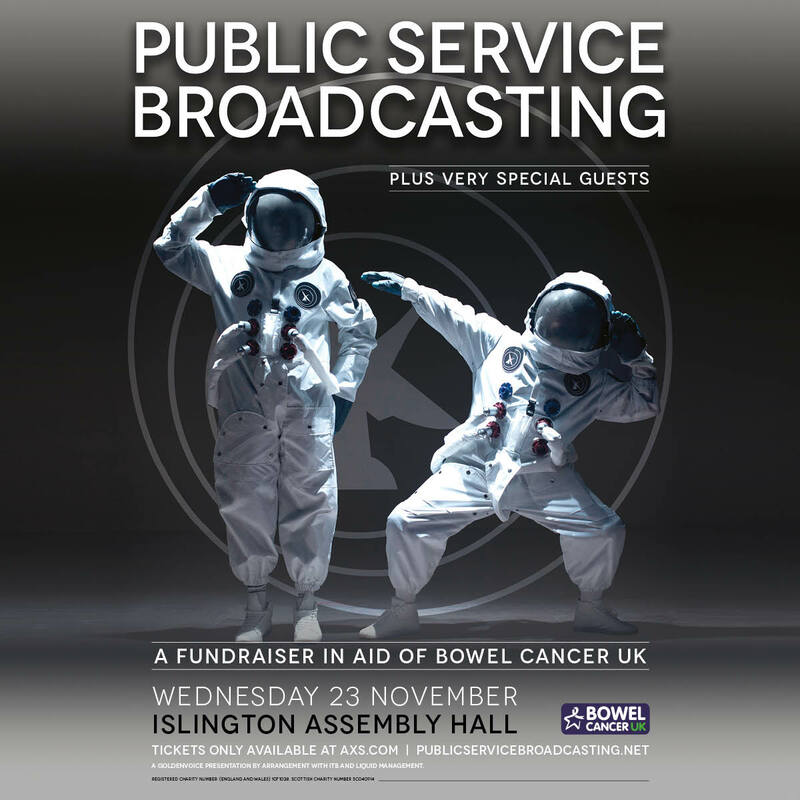 Public Service Broadcasting have announced a very special gig on Wednesday 23 November at Islington Assembly Hall to raise funds for Bowel Cancer UK, the UK’s leading bowel cancer research charity. Tickets for the event will be available from 10am on Friday 26 August on their website with all profits going to Bowel Cancer UK. For anyone who would like to donate to the cause but can’t make the concert, PSB have also set up a Justgiving page for donations.